Mysuru: Heavy rains accompanied by thunder lashed parts of city last night throwing normal life out of gear. The rains are also likely to hit the Assembly elections, which is going to be held tomorrow in the State. There was cloudy weather since morning and by evening thick clouds had gathered. 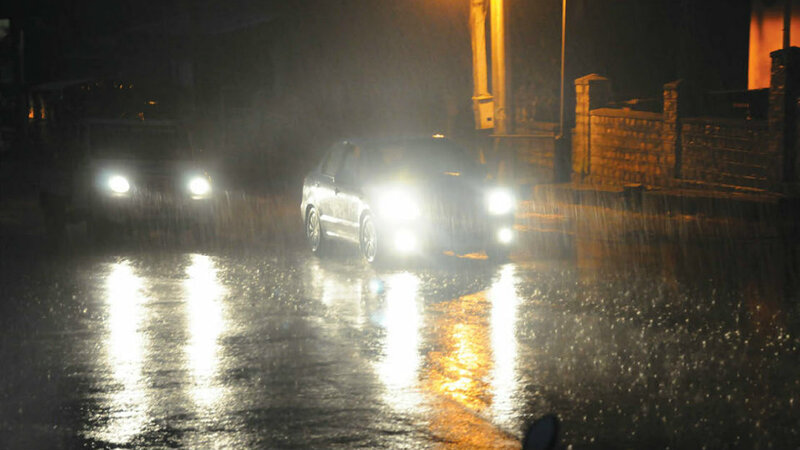 The rains which began around 7.45 pm lasted for more than half-an-hour. However, no untoward incidents were reported except that in a few places as the rainwater could not flow freely, it caused inconvenience to the motorists. Likely to rain for three days: Karnataka State Natural Disaster Monitoring Centre (KSNDMC) Director Dr. G.S. Srinivas Reddy has informed that it is likely to rain for the next three days in the State. Due to depression over Lakshadweep and parts of Tamil Nadu and because of the formation of trough (an elongated region of relatively low atmospheric pressure) from North Karnataka to Tamil Nadu, it is likely to rain in Bengaluru City, interior South and North Karnataka and Malnad and coastal regions, he said. Rains likely to hit polls: Since it is likely to rain for the next three days accompanied by thunderstorm and lightning, it is likely to affect the voters going to vote tomorrow (May 12) during the Assembly polls. Pre-monsoon showers: The rains that occur during April and May is pre-monsoon showers and it is likely to rain till Sunday, said Dr. C. Govindaraju, Professor (Plant Protection), Organic Farming Research Station, Naganahalli, speaking to Star of Mysore this morning. He said that yesterday there was 12mm rain in city. “The thunder and lightning depends on the size of the clouds and velocity and speed of the wind. It is definitely going to rain this evening, tomorrow (as the Assembly election is in progress) and even day after,” he said.